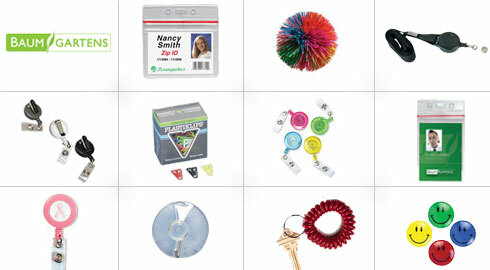 Looking for fun and colorful home and office supplies that are not harmful to the environment? For more than 60 years, the Baumgarten family has provided high quality paper and office supplies to its customers. As supplier of practical, colorful products for home, school and office, Baumgarten’s has made a companywide commitment to “Going Green” with its office supplies, disposable plates and cups and fun products for the home. At Baumgarten's, they recognizes that businesses have an impact on the planet and are continually striving to reduce the environmental impact of the products we sell as well as improve their business practices. As of May 6th, 2008, they have become 100% RoHS compliant, and all of their products up to this date have now passed. The RoHS Standard is a European / Asian Directive (likely to be adopted by N. America) to lower the amount of toxic heavy metals in products. It addresses maximum levels of acceptable Lead (Pb), Mercury (Hg), Cadmium (Cd), hexavalent Chromium (Cr VI), and two types of brominated flame retardants, Polybrominated Biphenyls (PBB) and Polybrominated Diphenyl Ethers (PBDE) contained in electrotechnical products. Check out our selection of hundreds of Baumgarten’s products that are fun, practical and environmentally friendly! 1. Baumgarten's Vinyl, Clipboard with Clear Top Sleeve, Compact Clip, 8-1/2"x12"
Baumgarten's Vinyl, Clipboard with Clear Top Sleeve, Compact Clip, 8-1/2"x12"
Baumgarten's Sealable Card Holders, Vertical, 2.62" x 3.75"